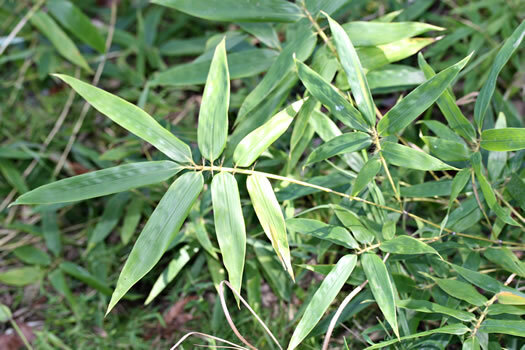 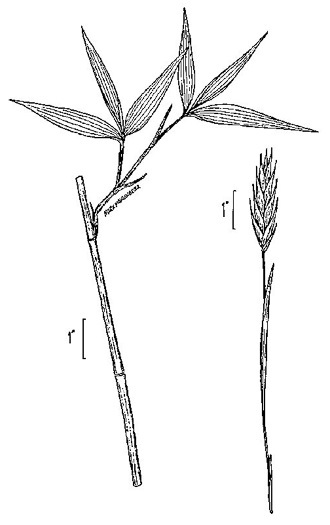 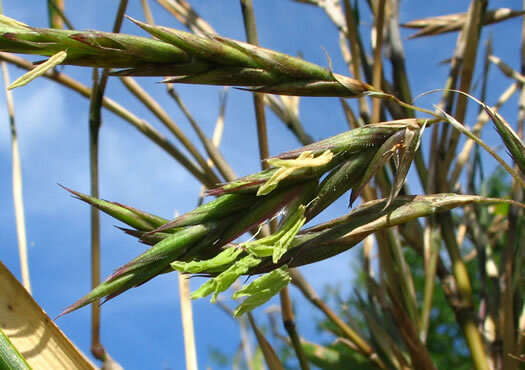 You may enjoy reading Identifying Native Bamboos by Margaret C. Cirtain. 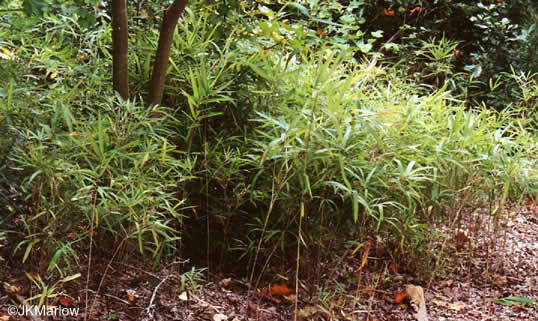 or North American Bamboo: River, Switch & Hill Cane from George Ellison and the Southern Appalachian Botanical Society. 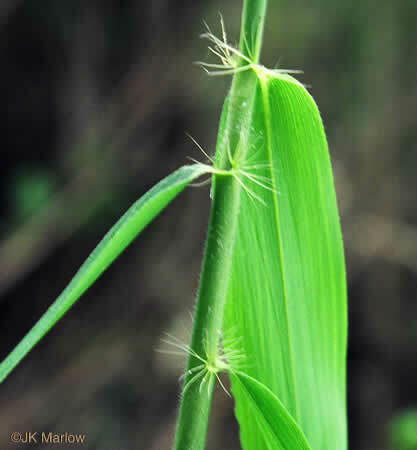 Bristles 6-9mm long on both sides of the throat, per Forest Plants of the Southeast and Their Wildlife Uses. 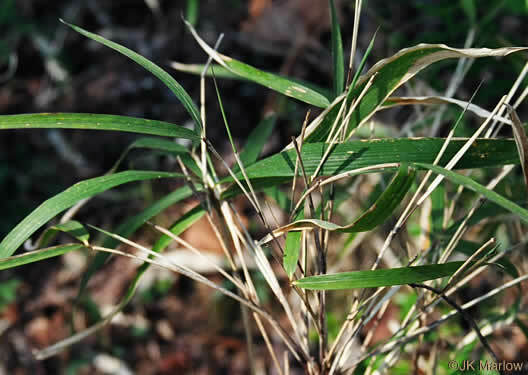 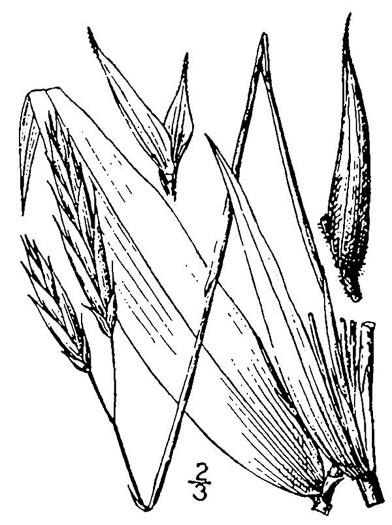 Leaves grass-like, lanceolate, base rounded, tip long-tapering, per Forest Plants of the Southeast and Their Wildlife Uses. 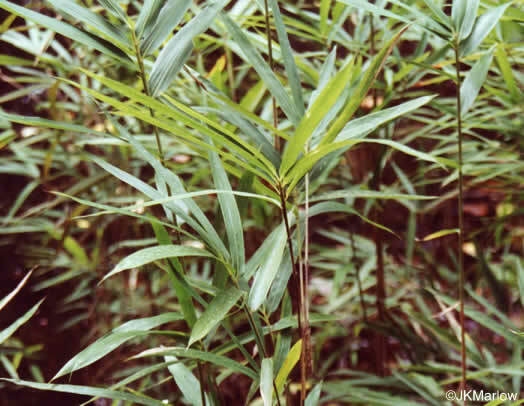 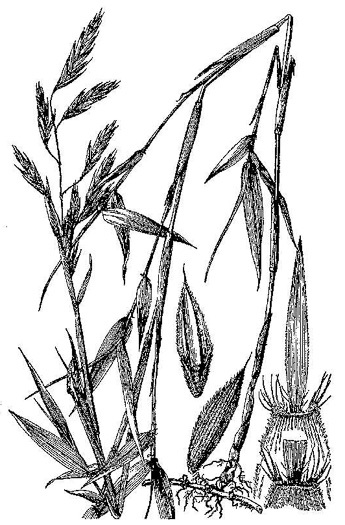 The genus Arundinaria is our only native member of the bamboo tribe, per Guide to the Wildflowers of SC. 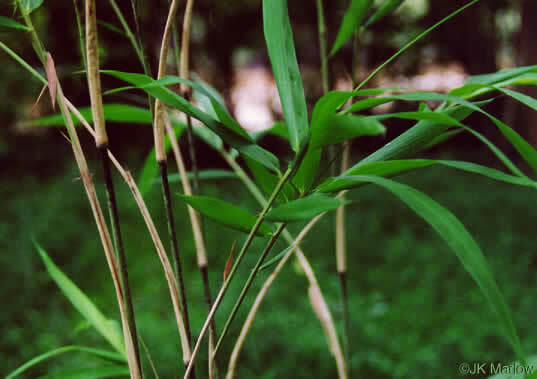 Upright, woody grass 3-6' tall (possibly reaching 30' tall), per Wildflowers & Plant Communities of the Southern Appalachian Mountains and Piedmont. 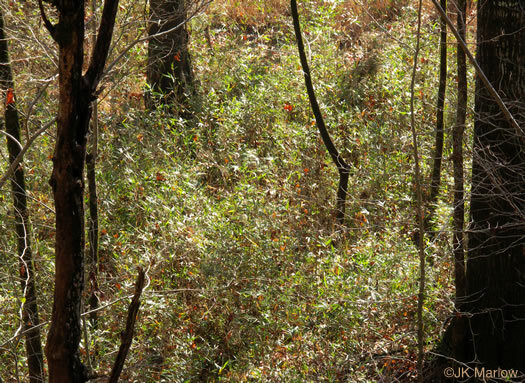 Our "canebrakes," large areas covered by dense stands of cane, are mostly gone.